I wrote this story last year, September 2012 when my beloved Arabian KlassicAmir almost lost his left eye, (it was a gut wrenching time). This story bears telling again, for we humans pollute this planet, the pestilent we combat have grown stronger and more defiant; how are we to protect our animal kingdom and ourselves, while safely preserving our world? What I continue to observe is the Grit life sometimes demands of us. And (more important) are we willing to give our all to realize our dreams? And what may come of Dreams? My KlassicAmir (my Arabian) saved my life, more he taught me a tremendous amount regarding the power of gentleness and containing authentic prowess. Some may notice that many woman (men are included in this statement), but for the most part it is women who possess this special bond with having horses, and these women seem to be a special breed, strong, independent, often entrepreneurs (although this is not a blanketed statement (geezz I feel I have to be a back label of plastic, do not put on head and hold your breath to not offend)). Our world has consistently fashions a difficult life for women born of leadership qualities from childhood, possibly a genetic predisposition. 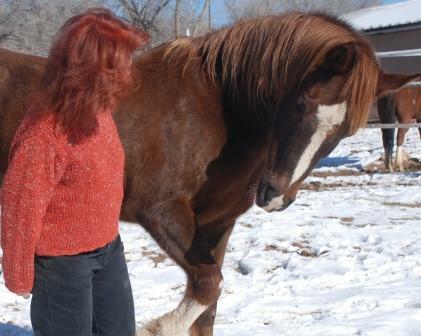 Have you ever known a horsewoman to be meek, mild shy manner or a wimp? They may be quiet around their horses; this is the nature of the relationship, an eminently profound kinetic intimacy of enormous value. 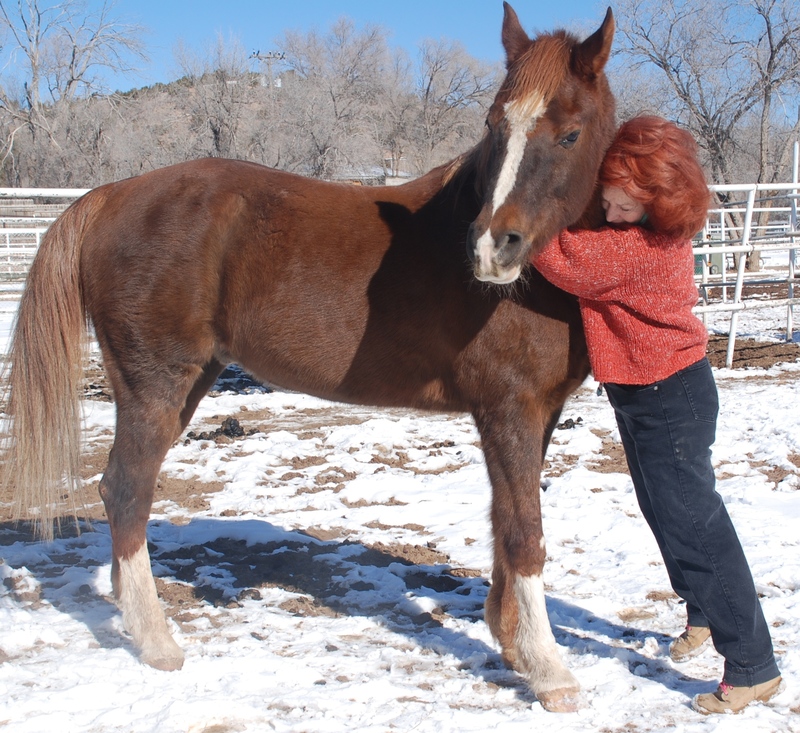 There is a correlation, one of strength, willingness to learn from a formidable strength of another (the horse) and the healing that comes with such abandonment of wills. We are natural born leaders, and yet suffered for this quality. Why were we were chastise when little girls? We were the little girls who were called *bossy* or grumpy or too demanding, more often derogatory terms “strong or controlling” as women. This was to weaken our natural position, later we fought to regain our genetic heritage. We are set aside from other women, where there should be no gap in capability by way of personality. I was one of those little toddlers, adventurous, bossy, demanding “willful” was often the derogatory word used. Often I felt I was no good, or in trouble for being myself; an intrinsic ambition ~ organized in nature, these qualities were never taught to me, they came with the small package when born. As a toddler I greeted my first horses in Venezuela, finding a great kinship of gentleness and power and yet no fear; a metamorphosing bond through years and decades. 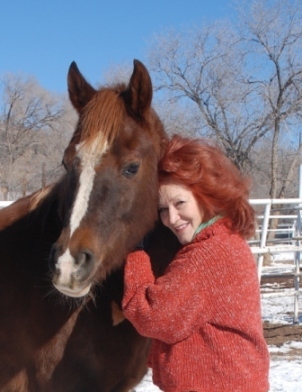 The perfume of a horse cradled me into an affinity, teaching me of my own authentic prowess and yet to be gentle, kind, aware and alert (for they are prey animals as I felt as a toddler) with great compassion. Klassic is a large Arabian, standing at 15.2 hands and a weight of 1090 pounds (he out weighs me by more than 950 pounds) – he can be imposing with his proud regal qualities, discernible as one gazes upon him. Many have asked to photograph or paint him, for his inexplicable demeanor; I refused most. He can be daunting and ornery, pushy and down right stubborn at times; with one swift toss of his head, I have found myself on the ground. Nonetheless, he chooses not to be harsh, more reverent and musing. He also chose this path, a relationship with a human; his gentile nudging, telling me of his needs, all with respect and awareness through the decades. Once again, I am giving you a peek into a wondrous qualities of relationship we all could use in our lives; it is about unconditional love, allowance, accepting and respect. September 10th 2012 marks two weeks to the date, I watched my beautiful Arabian left eye go blind. The flies were relentless this year; strong fly repellant could not deter these pests. Two weeks prior in the early afternoon at first glance, I knew KlassicAmir was in poor condition as he placed his elegant rounded neck to rest on my shoulder. KlassicAmir is a very proud graceful Arabian, and for him to succumb to lowering and resting his head, meant he was severely suffering. He was indeed in grave pain with a swollen left eye. 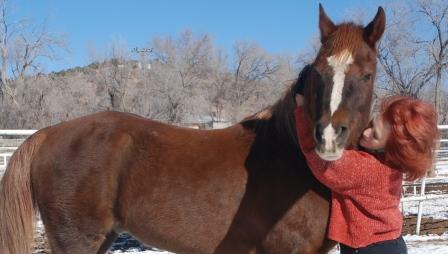 I never used fly masks on my horses in the years past, there was never a need, for they did not live here in New Mexico rather Colorado where my Arabians found freedom to run acreage. I felt a gut wrenching terror creeping deep inside while washing his swollen eye with cool water. My neighboring stall mate had an old fly mask in her tact box which she immediately gave to Klassic. As I gazed into my beautiful Arabians’ eye, I could see a clouded film begin to cover most of the eye; the eye was tearful with seepage and obviously extremely tender. Having some Calendula on hand, I cover the exterior part of his eye with hopes this would soothe the irritation from the flies. Another friend who has Arabians came by, took a peek and said she would bring some herbs to wash the eye and that this condition did not look good. For KlassicAmir to allow me to put a fly mask over his ears, latch around his jaw line, with his head sunk deep into my arms, fluid streaming from the now blinded eye – fractured my heart. Nonetheless, this was not time for me to crumple; for I had a collapsing Arabian in my arms. My beloved horse of over thirteen years who saved my life long ago; there would be no time for tears from my eyes, and what I was to learn shook me to my core. I called Doctor Stewart McCall’s’ office about dawn the next morning (on Tuesday), not knowing how urgent the next twenty four hours would be. Mike, Dr. Stewart’s assistant urged me to make an appointment immediately. I made the appointment knowing my horse was going blind, nevertheless ignorant of the immediacy and volatile condition, little known bacteria called Pseudomonas that will destroy a horse’s eye. Dr. Stewart arrived in the later morning, took one look and said what no horse owner wanted to hear. “This particular bacterium will destroy a horse’s eye within twenty-four hours, resulting in a rupturing of the eye, requiring surgical removal of the entire eye.” The doctor suggested an immediate prescription of antibiotic drops that could only be purchased at a human pharmacy (“if they have a problem filling this prescription, have them call me directly on my cell).” These words drained all the blood out of my face: then Dr. Stewart added “if there is any day to loose sleep, it would be today. This is a very fast devouring bacterium and the next twenty four hours may end in KlassicAmir eye rupturing, surgery would be required and he will lose his eye.” There was no time for diplomacy, only direct words validating the exigency of this moment. The sheer thought, that my horses’ eye would rupture, the pain this would cause him to undergo was heart pounding. I immediately asked “what kind of dosage, how often?” I fired off questions as rapidly as Dr. Stewart could reply with urgency; “the frequency that you get the antibiotic into his eye is crucial in the next twenty-four hours, at least every hour.” I stated back to him, “I am a person who tends to overdo everything in life, are you saying at least every hour, and is frequency of the drops the key to saving his eye from exploding?” Blindness was not even a thought; it was the word “rupture, exploding” that eviscerated my mind. How many thoughts and questions could I ask, and try to understand what my vet was telling me. Change my schedule, as I thought through my day; do anything to save my horse from heinous pain and suffering; all these and more thoughts fired through my brain at warp speed. Dr. Stewart’s words were stern and grave, he wrote out the prescription and I drove (breaking all speed limits) to the pharmacy. Asking Tabitha, the pharmacy manager, “my vet just told me if I do not get these drops into my horses eye immediately it will explode.” Within fifteen minutes I was back at my Arabians paddock, tearing off the protective film to one of three bottles of antibiotics; holding his head gently, squeezing drops into the corner of his pain ridden eye. At first he jerked backwards, knocking me in the head with his powerful motion, after all he is now blind in the eye I am attempting to treat. Again, as I gently held his muzzle resting on my shoulder, adding a gentle hand to cover his eye, balancing the small white plastic bottle, whispering to my Arabian to stay calm; “we have to do this Klassic, it means saving your eye.” The drops went into his eye promoting more tears to pour down his somber jaw line. Thinking to myself, if these few drops are causing Klassic to tear up, how much of the antibiotic is working? What is left of the medicine in the eye to fight the gorging bacteria? I reflected upon Dr. Stewart’s words of frequency and decided to repeat the treatment every fifteen minutes: Comforting Klassics’ head with a cool wash cloth over his swollen eye, treating the fly bitten flesh sores, fighting the flies off of his body and mine; then repeating the drop treatment every fifteen minutes was my decision. Nine hours pasted as if it were only two hours, I had to save his eye even if it meant that his left eye would remain blind for a lifetime. The only time I left his side was to get some grain, adding some apples left on the stables’ community bench table. Knowing with each treatment, maybe the bacterium was abated, but the further irritation to his eye by way of a plastic drop bottle was evident. I kept clean cool water in a bucket with fresh towels to gently cleanse his eye before each treatment. KlassicAmir was miserable, his head stayed cradled over my shoulder – in my arms for the better part of the day. It was close to sundown, I had used one of the three bottles of antibiotic, now opening the second bottle of antibiotic. My Arabian needed a break from me poking at the corner of his eye and time to eat some hay. The fact he was willing to eat was slightly comforting. Reluctantly I left, to take care of my dog that had been waiting for almost nine hours at our condo with no potty break. When home, after giving Sadë multiple potty breaks, dinner, and short walk I emailed and phone several friends, other dog and horse lovers to please pray for my horse to save his eye. The next morning I rushed down to the stable with my Sadë, carrying the antibiotic drops in one hand and apples in the other hand. My friend brought some herbs to make a compress tea for Klassics’ eye. His eye was closed and with severe swelling, obviously in grave pain and here I was to poke drops of antibiotic in the corner area again. I gave him an apple first, gently spoke to him, apologized for what I had to do to save his eye. As he opened his eye, I could see the cloudy film completely covering his eye, I knew he was blind, but there was a difference. Bathing his now raw face with cool water, holding a clean cool towel to his eye, I buried my face into his jaw-line and stated once again for causing him more pain and irritation. How sorry I was for not being a better mother, for not being aware of his condition days before. I was in the middle of a relationship breakup; kicking myself for giving more attention to a wonderful man instead of my beloved Arabian. The relationship breakup was inevitable, but my Arabian losing his eye was not option. I began to repeat the every fifteen minute treatment till early afternoon. 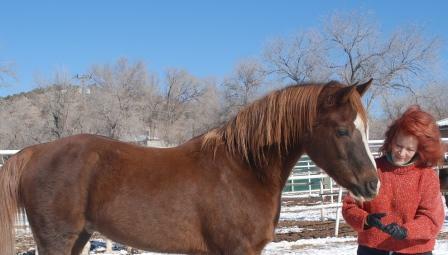 Leaving my KlassicAmir to return home and call Dr. Stewart to update him of the difference I noticed in my horses’ eye. Mike, Dr. Stewart’s assistant called me back stating “what you think you see is most likely some residue from the fluid in the eye; the eye healing it’s self over night would be impossible.” I insisted that he give the messages to Dr. Stewart and he assured me he had. Not long after that conversation Dr. Stewart called and I explained what I (ignorantly) saw of Klassics’ eye. I reiterated my findings “the entire eye is now covered with a cloudy film; there is no break in the skin covering the eye; what does this mean?” Dr. Stewart said “it sounds too good to be true. For the eye to heal over night, no longer to have a visible acorn tear in the center of the eye would be miraculous.” He continued, “I would like to come out tomorrow morning and see how Klassic is doing. Continue the drops and what you are doing, but this does sound too good to be true.” Still not understanding what possibly my “over doing behavior” could have resulted in saving Klassics’ eye. I continued to wash his face, treat his now raw flesh from where the fly mask had rubbed leaving bloody wounds; the flies were relentless. The previous exposed “acorn” part of the eye was now covered; I had saved the eye from rupturing with repeating the antibiotics drops every fifteen minutes, with prayers and candles being lit by friends and strangers; however we were not out of harms way. Now to treat the pain, the swelling, any lingering bacteria, the additional bloody raw sores that riddle his once elegant face. Another week of butte being shoved into his mouth via my hand – pleading, “please do not bite my hand;” constant cool water washing his face, treating the wounds abating infection; finding his fly mask on the ground from a night before was a gut wrenching set back. This meant repeating more antibiotic drops into an already irritated corner of the eye, which I switched placing the drops into the front corner of his eye. At this point, I knew my horse was coming along for he was getting a bit ornery. Klassic was scratching his good eye as it began to swell; I added drops to the right eye insuring no bacteria would harm his other eye. For another week I washed the scabs from around his blind eye and so elegant of a face, rinsing his eye multiple times daily; treating him to extra carrots and apples, spraying herbal tea on his hay as we completed the second week of treatments. KlassicAmir has a new and softer fly mask on his healing face. This morning, Dr. Stewart said “you saved his eye.” He will remain blind for some time, but he will continue to heal, this could take months maybe up to a year, but most likely he will see again maybe with some distortion. No need for the antibiotic eye drops at this time, I recommend occasionally “Visine to get the red out” or neosporine, and to continue smaller doses of the butte.” Dr. Stewart left the paddock smiling this time. KlassicAmir has returned to his ornery Arabian proud “Show Style” self, maybe a few pounds less, nonetheless his head is held high in the air, he is eating all his food and more; he expects more apples and carrots after going through such an ordeal and I think he deserves all treats anyone cares to offer him; he was a trooper. This bacteria “Pseudomonas” and not rare for horses due to aggressive fly behavior and lack of water in more desert regions, however not contagious; nonetheless it is ravenous and will destroy a horses eye in less than forty-eight hours. The results are what you have read, painful and requiring surgery to remove the afflicted eye. Blindness is more hopeful with recovery spamming months to years. It has been a year now; Klassic is able to see and has adjusted to some visual distortions. The flies this summer (2013) season were more numerous and aggressive than 2012. I bought him an excellent fly mask with a softer liner on his muzzle, which he could wear for a couple of seasons. Klassic has a strong constitution and my full attention to all his needs every day. 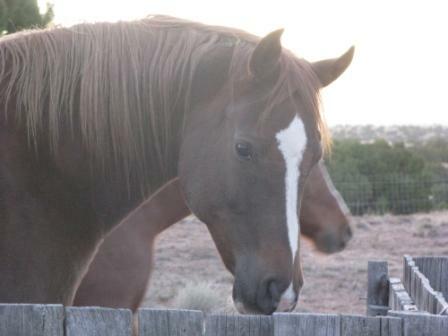 Deciding that boarding was not the ideal here in New Mexico, I transferred him to a friends’ house. With every feeding – each day, twice daily (and sometimes more), I know what my horse is feeling, how much weight gain for the winter time and how much water he drinks every day. This makes my heart long for the day we live together again as we did in Colorado. And so my eyes are set on leaving, moving back to Colorado or California once my book writing and public speaking has a substantial launch. I miss the green pastures, seeing my Arabians graze in my back yard. I miss the days and weeks of rainy days and thunderstorms; the fogs and measurable snowy winters. Ah yes, the silent blizzards that cover the land with such a resounding hush, as my blanketed Arabs mull around the barn. All creating a pondering musing atmosphere for my nonfiction writing; I miss these times. This relationship with my Arabian has surpassed the time that I knew my parents, longer than any dog in my life and certainly has lent to more knowledge, mostly understanding unconditional love and respect of fortitude power of the a gentle beast, my horse. My Sadë (Aussie Blue Heeler) also continually teaches me about life. The importance of being human with qualities no human could ever teach another; maybe some day we might grow to such understanding of nature; I think we as a species have a long way to travel. No other could accomplish such a humane feat. Your blog has great warmth, vision and energy, so take a bow, relax and breath in and breath out and allow yourself to flow more like a petal on a long meandering stream. That said; there is a lady whom I’d like you to contact in the UK her name is Amanda, you both have the same loves and therein have very much in common her email is view is you’ll be blown away by just how you can help each other at this time in your lives. When you do contact her simply say Barry thought we should connect and have a chat and by all means enclose a link to your blog in the first instance, she lost her Arabian about 3 months ago now. NB I note your consternation re: on following my blog, however and its a great source of wisdom to acknowledge. That; sometimes when we can’t find something we’re looking for that is the universe saying that the timing isn’t right. Therein; my advice is always follow your heart and your deep inner wisdom and when you do “doors will always open up for you where only walls stood before”. By the way that quote is from Joseph Campbell aka author of the heroes journey et al, if you haven’t read any of his work perhaps consider doing so, there’s also a sublime film out only recently which explores that journey called; “Finding Joe”. NB Please delete Amanda’s email at your end ! Great story of commitment and love Ed. Thank you so much for posting your internal fortitude and integrity! !